At the very centre of Auroville one finds the 'soul of the city', the Matrimandir, situated in a large open area called 'Peace', from where the future township will radiate outwards. The atmosphere is quiet and charged, and the area beautiful, even though work continues in the Gardens. The Matrimandir will be the soul of Auroville. for everybody and especially for the Aurovilians. A place...for trying to find one's consciousness. 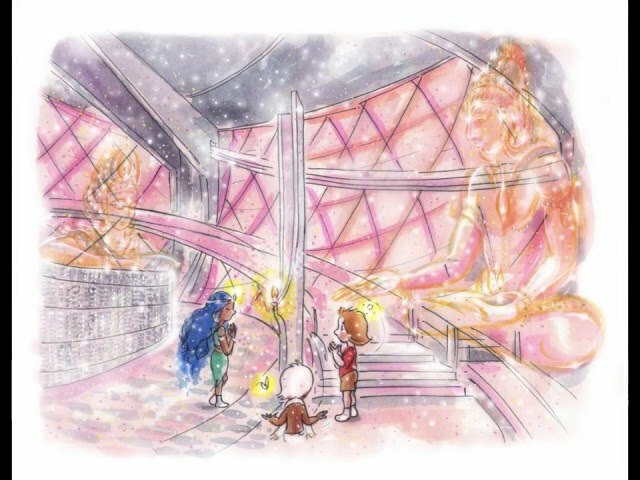 The Matrimandir can be viewed as a large golden sphere which seems to be emerging out of the earth, symbolising the birth of a new consciousness. Since the past 45 years, Matrimandir's slow and steady progress towards completion has been followed by many. While walking through the lovely green Matrimandir Gardens (divided into 12 individually named parks such as "Harmony", "Bliss", Perfection" each with their variety of flowers, shrubs and trees, one's attention is greatly drawn by this important and powerful feature at the heart of the city which was seen by the Mother as the "symbol of the Divine's answer to man's aspiration for perfection" and as "the central cohesive force" for the growth of Auroville. The name 'Matrimandir' means literally 'Temple of the Mother'. According to Sri Aurobindo's teaching, the 'Mother' concept stands for the great evolutionary, conscious and intelligent principle of Life, the Universal Mother, - which seeks to help humanity move beyond its present limitations into the next stage of its evolutionary adventure, the supramental consciousness. "The Mother is the consciousness and force of the Supreme and far above all she creates. But something of her ways can be seen and felt through her embodiments and the more seizable because more defined and limited temperament and action of the goddess forms in whom she consents to be manifest to her creatures." To know more about the Universal Mother, read Sri Aurobindo's small book The Mother, in which he describes the nature, character and role of the Divine Mother. "The most important thing is this: the play of the sun on the centre. Because that becomes the symbol, the symbol of future realisations." The Matrimandir is there for "those who want to learn to concentrate.." "No fixed meditations, none of all that, but they should stay there in silence, in silence and concentration. A place for trying to find one's consciousness." "Let it not become a religion", the Mother said. "The failure of religions is... because they were divided. They wanted people to be religious to the exclusion of other religions, and every branch of knowledge has been a failure because it has been exclusive. To be able to understand the spiritual extreme, the material extreme, and to find the meeting point, the point where that becomes a real force." Read more about Matrimandir in the section "Building Matrimandir".